Memorial Stone Large - No Farewell Words..
Home > Memorials > Memorial Stones > Memorial Stone Large - No Farewell Words..
- Dimensions: 18.5" x 12.25"
Q: Can you add Beloved Husband at the top of this stone? How much would that cost, if you can? A: You can add this on the stone that has a personalization plate. 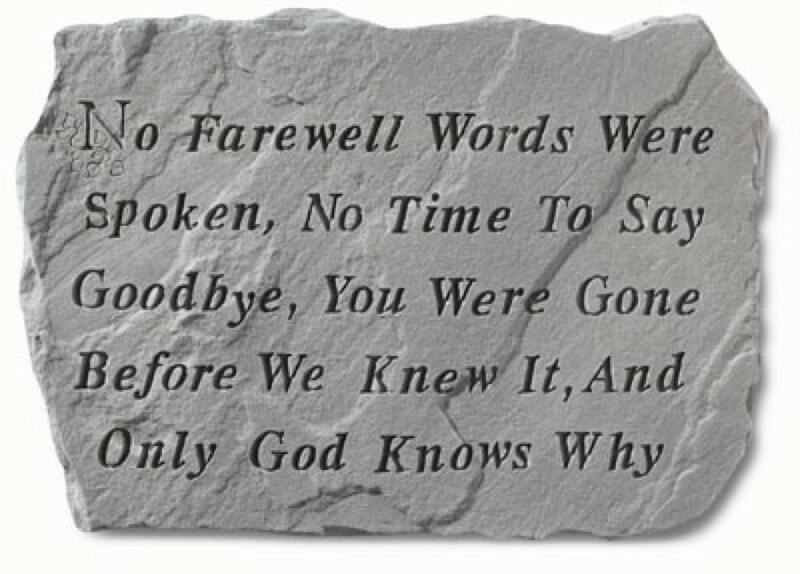 Personalized Memorial Stone - GoodByes Are Not Forever..
Memorial Stone With Cross - The Golden Gates Stood Open..